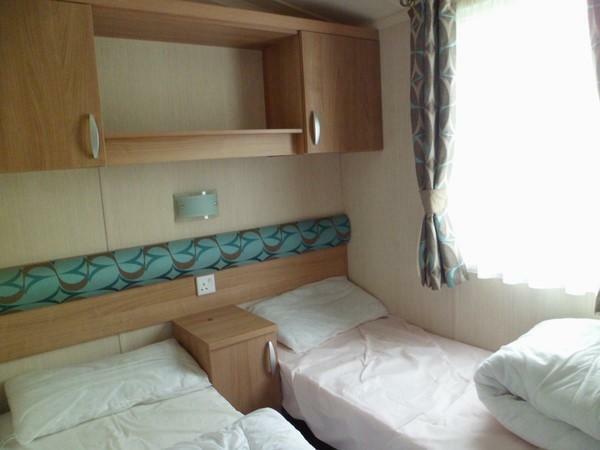 A 25% deposit is payable to secure the booking then the balance is payable 28 days before first day of the holiday. 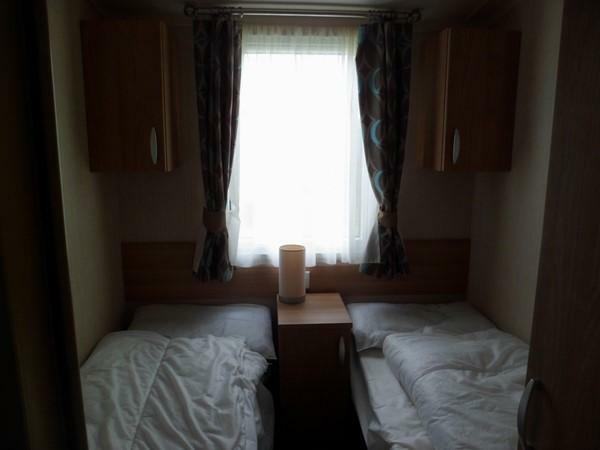 A refundable damage deposit of £100 is required at time of booking. This will be returned with in 2 days of leaving providing there is no damage or excessive cleaning required. Payment is for the caravan only & does not include funworks passes. This stunning 3 bedroomed holiday home will not disappoint. Private driveway & large decked area to the exterior, positioned in the corner of a quiet cul de sac so no traffic or even persons can pass through, making it very private and safe - especially good if you have little ones. 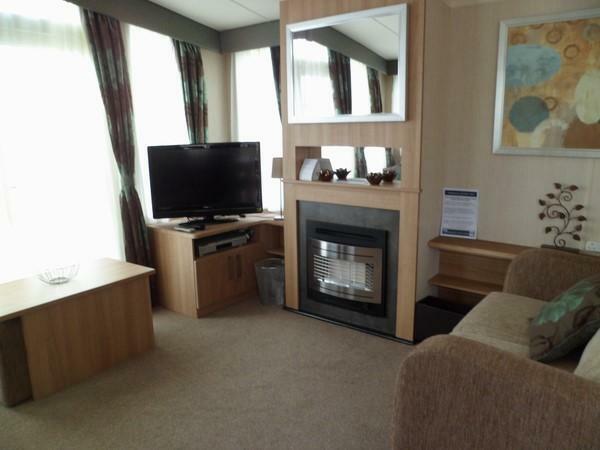 Central heating, gas fire & double glazing. Free standing sofas in the lounge area, dining table & bench seating. 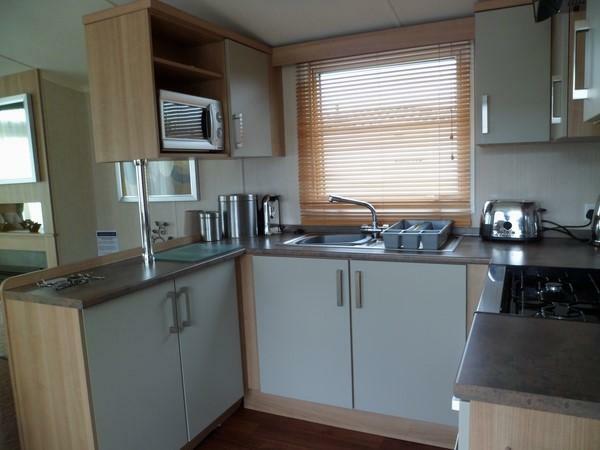 Kitchen has a range of integrated units including full size integrated fridge freezer, cooker, oven, grill, microwave, kettle, toaster, full range of eating, drinking & cooking utensils, iron & board. Master bedroom with double bed & built in double wardrobe, dressing table, over-bed & bed side units - en suite with toilet & wash basin. 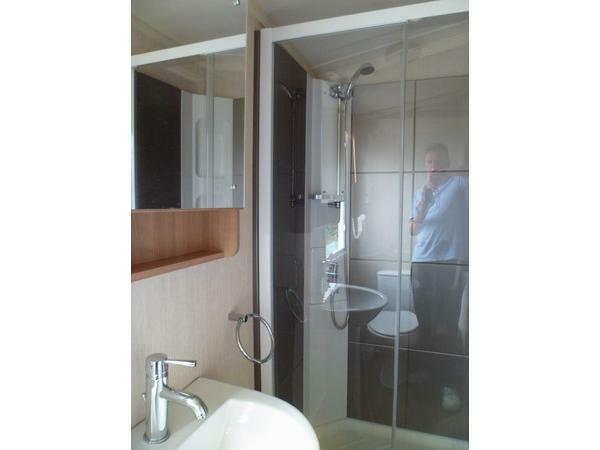 Main bathroom has large shower cubicle, toilet & wash basin, mirrored cupboard with shaver socket. 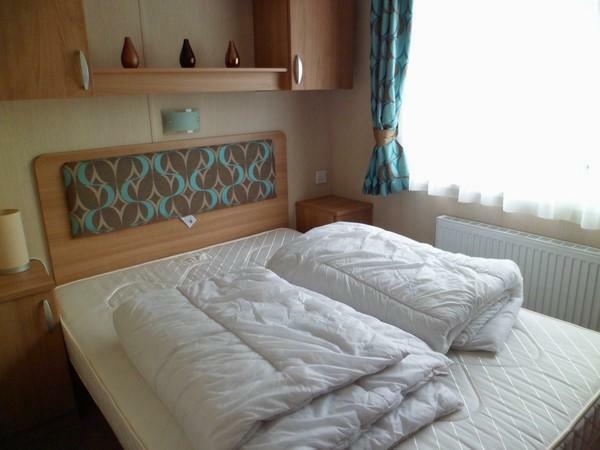 2 further bedrooms have twin beds in each with built in wardrobes & over-bed units. The only thing you provide yourself is bedding & towels. 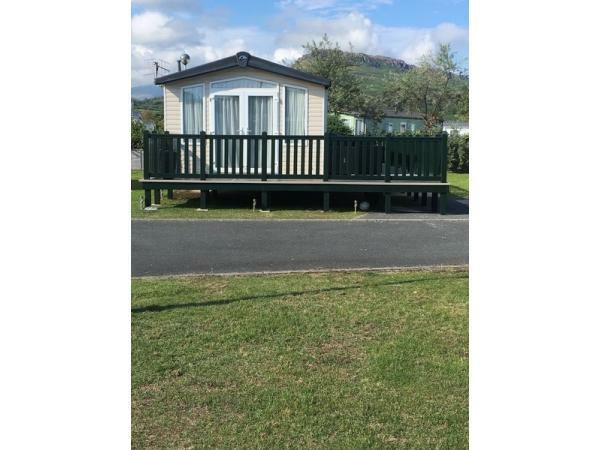 Excellent location of this holiday home and it is in easy reach of all the holiday park facilities. 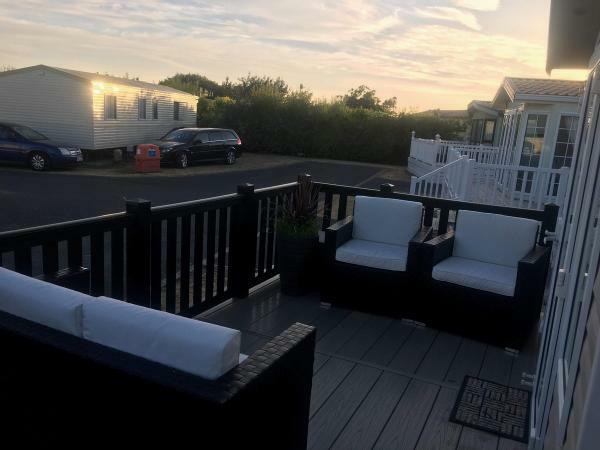 We really enjoyed our week that was supported by the holiday home facilities espically having a veranda at the side that we used with the chairs, table and parasol that are provided. The front veranda that is accessible from the lounge via French windows has good and comfortable garden furniture with big soft cushions. Would highly recommend booking this holiday home.